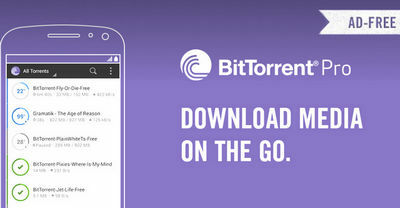 Download torrent files easily with the advanced BitTorrent Pro torrent client for android devices. Just add torrents or magnet links, let them download, and enjoy your media. BitTorrent even has battery saving and auto-shutdown features! If you didn't like our previously posted uTorrent Pro app, make sure you try this one. the app can open rss links for torrent feeds.